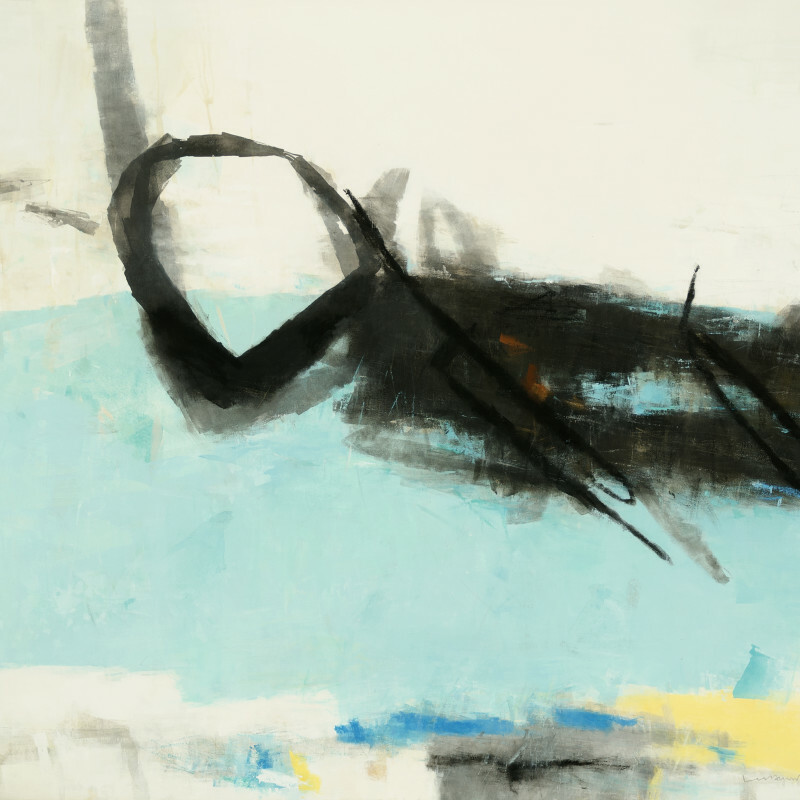 Hyunmee Lee is a Korean-born artist known for creating abstract paintings in the gestural tradition that are powerful, expressive, and simultaneously quiet and contemplative. In her work she carefully balances areas of gravitational mass with places of rest. Then using pencil, charcoal, and pastels, she makes nuanced calligraphic marks that hint to cryptic meanings informed by a cultural background immersed in Taoist, Buddhist, and Confucianist thought. This exhibition, Epochal Dimensions, presents a new series which explores a desire for rediscovery and growth. Focusing on the contrast between the various elements of the painting, Lee resolves the pieces in harmonious compositions that are authoritative yet playful. The resulting works expand and elaborate upon the boundaries of abstraction. Hyunmee Lee is a renowned artist from Seoul, Korea who has had over thirty solo exhibitions on three continents and has exhibited in numerous museums including the Seoul Arts Center, Metropolitan Art Museum, Tokyo, and Seoul Metropolitan Museum of Art. She graduated from the prestigious Hongik University in Seoul before completing her MFA at the University of Sydney in Australia. She has lived and worked in the United States for the past twenty years and currently resides in Santa Fe, NM. Opening reception: Friday, November 9th, from 5:00 - 7:00 pm. Please join us for hors d'oeuvres and live music.